German landing exercise for Operation Sea Lion on the coast at Calais. Hitler modifies Operation Sea Lion invasion Plan: landings to be made on narrow front’, Eastbourne-Folkestone, in preference to earlier ‘broad front’ proposal. 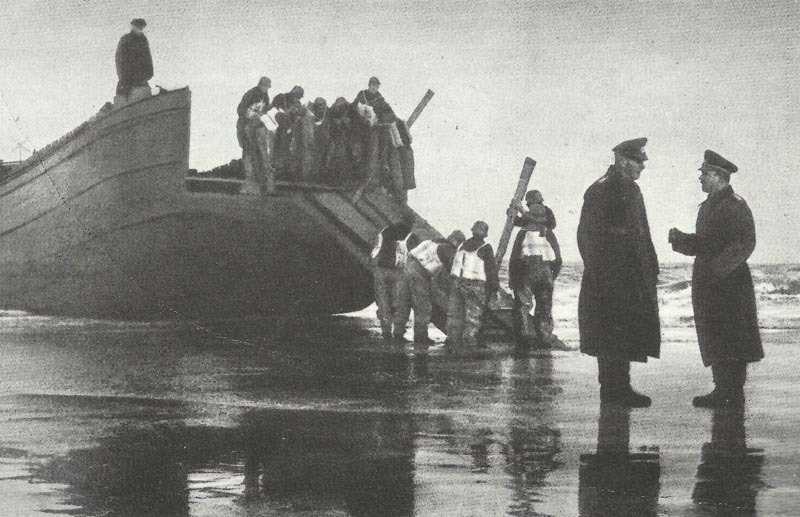 RAF Coastal Command begins anti-U-boat patrols from Iceland, using Fairey Battle aircraft. France: Free French forces take over Duala in Cameroons (August 27) and Brazzaville, French Congo (August 28).